SK28SR-6, SK30SR-6, SK35SR-6 - Kobelco Construction Machinery Europe B.V.
Our mini excavators are a key part of our overall product line-up and we’re continually developing the range to ensure that they are as productive as possible. Our Series 6 excavator range is a good example of how we’ve incorporated the latest technological advancements into our smaller machines. 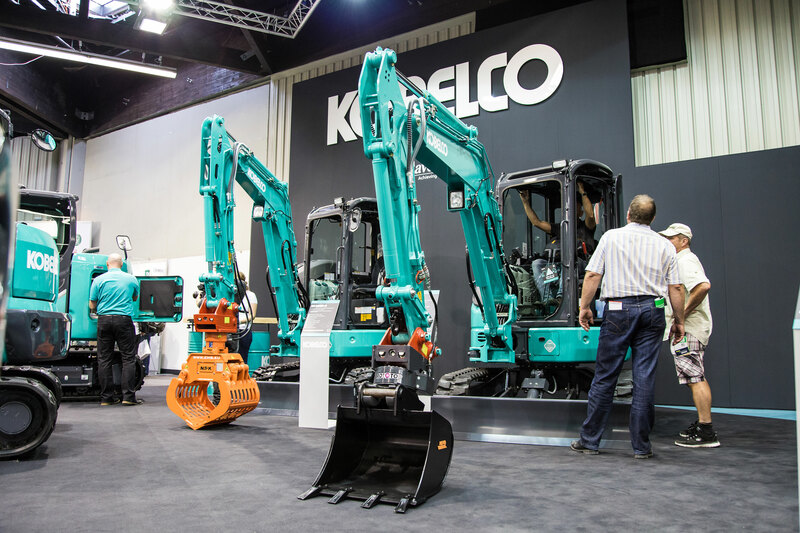 The SK28SR-6, SK30SR-6 and SK35SR-6 feature Kobelco’s innovative Integrated Noise and Dust Reduction Cooling System (iNDr), which is a first for mini excavators. Offering a reduction of around 7 dB over the previous models, these new Series 6 machines are surprisingly quiet, which is ideal for urban and residential job sites or when operating close to other groundsmen. The iNDr system also enhances serviceability by allowing easy access to the air filter, which is mounted in front of the radiator, reducing day-today servicing downtime and use of additional tools to clean the filter. In addition, the machines’ short radius (SR) stature means that they are well-suited to small and compact job sites, as well as landscape gardening.